6 And you became imitators of us and of the Lord, for you received the word in much affliction, with the joy of the Holy Spirit, 7 so that you became an example to all the believers in Macedonia and in Achaia. 8 For not only has the word of the Lord sounded forth from you in Macedonia and Achaia, but your faith in God has gone forth everywhere, so that we need not say anything. Resolved: that we will, by God’s help, seek to grow in the discipline and work of evangelism in 2018. Naturally, when you’re a young church plant, much of your conversation as a church is going to center around questions of doctrine, ecclesiology, and church life. The focus in your beginning months is on the internal life of the church, and necessarily so. But seeing as God has been pleased to established our church through the adoption of our core documents, the formal constituting of the church’s membership, and increased numerical growth as a congregation, we are beginning to open our eyes more to needs outside of our church. In light of this desire to give increased attention to the external ministry of the church, it is our desire to nurture a culture of evangelism within our church and to grow as a congregation in this great work of sharing our faith in the new year. I am fond of saying that as a church plant, we are barely legitimate if we do not make evangelism a priority. To better articulate and shape this larger resolution of growing in evangelism as a church in 2018, I offered to our church ten more concrete and specific resolutions. These resolutions can be broken up into two categories of five. The first five are resolutions that have already been adopted by the leadership of Emmanuel, and will, in part, characterize and shape the church’s leadership in 2018. The next five are resolutions to which each individual member is asked to commit themselves in 2018. I briefly elaborated upon each resolution in the sermon itself, but I simply state them here. If you’re interested in learning more about what we mean by these resolutions you can access the sermon by clicking here. 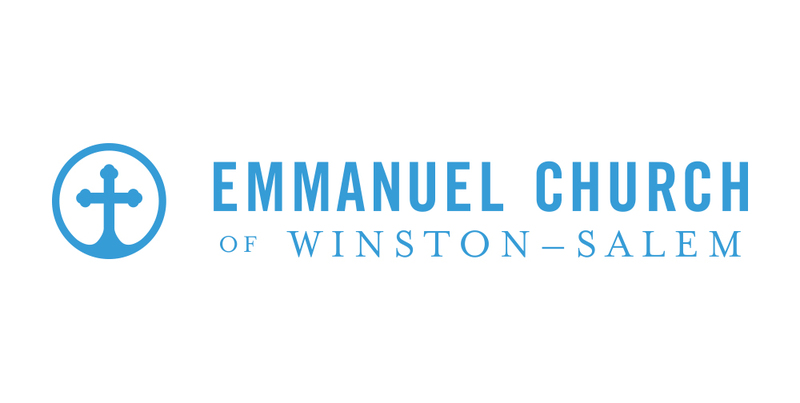 Resolution #1: We will prioritize evangelism in the preaching ministry of Emmanuel Church. More specifically, we will make frequent evangelistic appeals the norm in the preaching ministry of this church. Resolution #2: We will make discipleship in evangelism a top level priority in 2018. Resolution #3: We will talk about and pray about evangelistic opportunities in small groups and prayer meetings. Resolution #4: We will, as a church, pursue evangelistic opportunities in our community. Resolution #5: We will give profile to success stories in evangelism. Resolution #6: We will discipline ourselves individually to pursue more evangelistic opportunities in 2018. Resolution #7: We will make the subject of evangelism a large part of our prayer lives both individually and in our families. Resolution #8: We will promote, encourage, and contribute to a culture of evangelism in Emmanuel Church. Resolution #9: We will seek to encourage and stimulate our brothers and sisters toward greater evangelistic faithfulness. Resolution #10: We will pray for, and seek to share Christ with the unbelieving children of Emmanuel Church. May it be said of us in truth, as it was said of the Thessalonians, that the word of the Lord not only sounded forth from us in Winston Salem, but that our faith in God has gone forth everywhere. 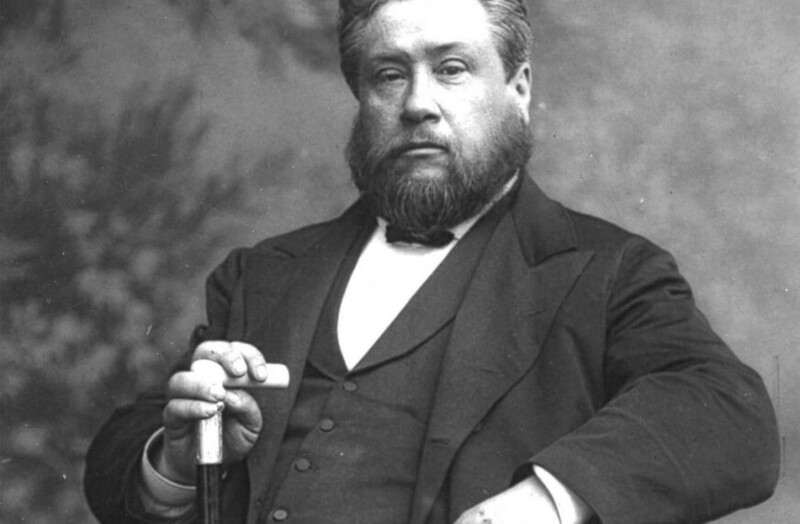 Charles Spurgeon (1834-92) was the "Prince of Preachers." He was without question the greatest preacher in England during the Victorian Era, and arguably the greatest preacher in the world since the Protestant Reformation. Spurgeon preached regularly to crowds of thousands of eager listeners, both in his own church in London and all over the U.K. He preached weekly to roughly 6,000 people at the Metropolitan Tabernacle, and once preached to a crowd numbering nearly 25,000. It has been said that the only thing more impressive than Spurgeon’s ability to attract such massive crowds was his ability to hold them for nearly 38 years of ministry in London. Spurgeon was no flash in the pan. He was perhaps the most consistently faithful and fruitful minister England has ever seen. Much has been said about Spurgeon the preacher, but a lesser-known man is Spurgeon the church planter. Over the course of his life Spurgeon planted over 200 new churches in Britain alone. Through his famous Pastor’s College, he oversaw the ministerial training of no less than 900 men during his lifetime. Though many of these men took up pastorates in established churches, a large number of them were sent out as church planters and missionaries all over England and around the world. Spurgeon believed that the church is, by its very nature, an “aggressive” entity. He argued that it is never to be static, but should always be advancing. He understood the church to be not principally a maintenance project, but an energetic and dynamic force for the spread of the gospel. The two churches that Spurgeon mentioned in this quote, Wandsworth and Greenwich, were only about five miles from Spurgeon’s own church. He planted these churches recognizing that they may very well siphon off some of his own attendance. Spurgeon holds out to Christians today the vision of “a missionary church.” With intense zeal for the lost and a robust confidence in Christ’s promise to build His church, Spurgeon stepped out in faith and led one of the greatest church planting campaigns England has ever known. To this day, there are scores of churches in London and all over the U.K. that can trace their origins back to the church planting efforts of C.H Spurgeon. His call to churches today is to “advance onward” in the vital and necessary work of church planting. This blog is the second part of two blog posts related to small group ministry at Emmanuel Church. To read part one click here. In my experience, you get out of small group what you put into it. Avail yourself of all that a good small group can offer. Use your small group as a platform for community, fellowship, Bible study, and prayer in the church. 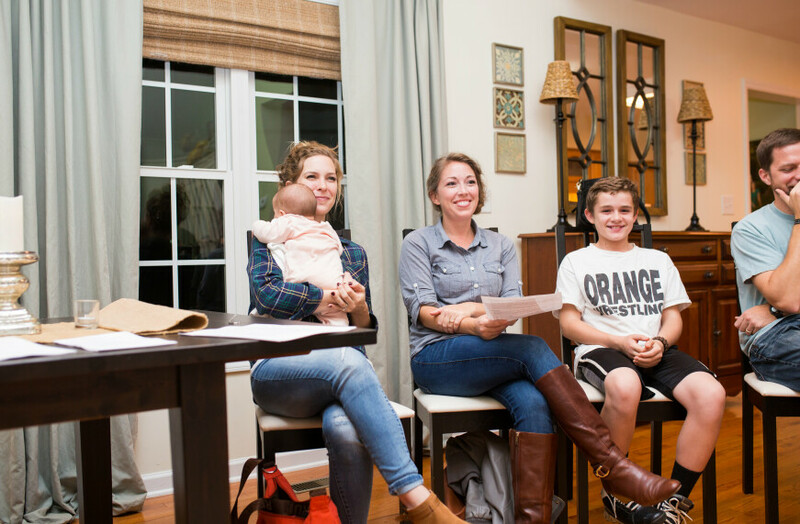 Develop intentional relationships with the people in your small group. As most small groups meet mid-week, seek to view small group as a special gift from Christ to your needy soul as you labor through a busy week. I have often found small group to be like an oasis in which I get to focus my thoughts and affections on Christ and his body. This is so necessary especially when you find yourself in the middle of a difficult week. The Bible does not require that the church organize a small group program. However, if your church offers small groups, make them part of your weekly/monthly rhythm. Use these opportunities to lean in to life among the church body. Small groups can serve many good purposes, but I think one of the very best uses of the small group time is for prayer. The small group environment is a context in which more intimate personal prayer needs can be shared. If a small group is limited to 10-15 people, it’s quite possible that every individual can share prayer requests. Not only that, depending on how the time is structured, it’s possible that almost every individual in the group can pray for someone else. Small groups also accommodate a natural environment for pursuing continuity in our prayers. It makes it easy to follow up on previous prayer requests that have been shared and to bring the same issues before the Lord on a consistent basis. Most small groups are designed to provide some opportunities that corporate gatherings simply can’t provide. It is unlikely that every member of the church will get to speak in a worship service. It’s unlikely that every member will get to pray or share a prayer request at a corporate prayer meeting. In small group however, everyone can voice a prayer request, an edifying comment, or a thoughtful question. Since facilitating intimacy among the group is one of the goals of small group ministry, don’t be afraid to be intimate. Open up with your brothers and sisters. Talk about what Christ is teaching you in your Christian walk. Talk about things in your life that are difficult or challenging. Share encouragements from God’s Word. Avail yourself of the opportunity to open up to your brothers and sisters in Christ. A church I used to be a member of summarized the goal of their small group ministry as pursuing growth together. I think that’s an excellent summary of how small groups ought to be utilized in the life of the church. It should be recognized that this mission is not exclusive to small group ministry, but would apply also to corporate gatherings, Sunday school classes, one-on-one discipleship, etc. However, it ought to be stated nonetheless that this is indeed the goal of our small groups. We are seeking to grow together in our knowledge of God and His Word. We are seeking to grow alongside one another as followers of Christ. An effective and healthy small group ministry will never lose sight of this goal. 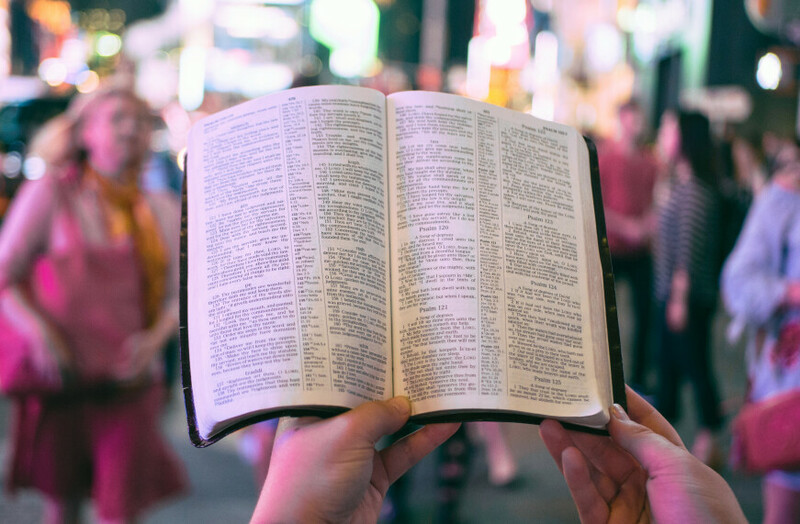 This blog is kept for the purpose of addressing subjects and topics connected to life and teaching at Emmanuel Church. We hope it will be a blessing to our church body and to many outside our church who find the material helpful and edifying.